Caltha can also provide “as needed” technical support in preparing and maintaining OSHA compliance records, and to conduct incident investigations to support a root cause analysis. Caltha staff have led multi-disciplinary teams to develop corrective action plans arising from variety of incidence, including injuries, accidents, spills and fires. Caltha LLP provides expert support to develop employee exposure controls and to implement effective PPE programs. The OSHA Hazard Communication requirements are generally considered one of the most difficult requirements to comply with. Material labeling and maintenance of the Material Safety Data Sheet control system are challenging for many facilities. OSHA also has stringent training requirement to assure that employees are aware of hazards in the work place. Caltha will prepare your written HazCom program, prepare training materials and write or update your MSDS. Caltha also provides specialized technical support to manufacturers, importers and distributors of chemicals as they are required to update the format of their hazard labeling and Material Safety Data Sheets (now refered to a Safety Data Sheets, or SDS) to meet new OSHA standards that align with the Globally Harmonized System(GHS) for the classification & labeling of hazardous materials. Need to create or update a Safety Data Sheet? Caltha LLP offers the expertise needed to assist clients in developing and implementing a safety management system that meets the requirements set out in OHSAS 18001. This service ranges from helping the client understand the requirements to conform to and self-certify that they meet the requirements all the way to achieving certification by the international body and their registered third-party auditors that their SMS meets the Standard’s rigorous requirements. Caltha’s full service OHSAS 18001 program includes assistance in developing, implementing, and internally auditing an SMS to assure that all elements of the Standard have been met. This activity also includes providing training packages and the training needed to accomplish the desired goals. 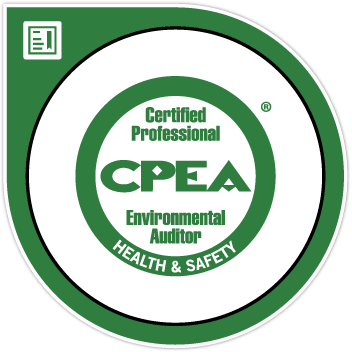 This service is provided by people who have developed and implemented single site and multi-site programs that have achieved certification and further, are RAB certified OHSAS 18001 Lead Auditors who have the background to assist with or conduct internal audits. Caltha provides streamlined and effective planning documents that meet regulatory requirements and are easily understood and implemented by facility staff. View more information on Safety and Emergency Preparedness and Emergency Response Plans or to request a quote. the Institute of Internal Auditors (IAA). Caltha staff have special expertise in regulatory requirements and stay current with developing or proposed regulations. This background is required to conduct facility compliance audits, and to provide auditing under corporate third party auditing programs, and preserving audit privilege and audit immunity rights under State and OSHA rules. Caltha also understands safety management systems and the different approach that is required to conduct Safety Management System Audits. Caltha offers a range of options for the scope and level of effort to conduct compliance audits or SMS audits. We will discuss this options with you to determine which is best suited for your facility. Caltha provides a full range of employee training programs for safety and emergency preparedness and response. View more information on EH&S training services provided or to request a quote.